While replacing Windows 10 with a Linux-based operating system is a fairly easy exercise, it shouldn’t be necessary. Look, if you want a computer running Linux, you should be able to buy that. Thankfully you can, as companies like System76 and Dell sell laptops and desktops with Ubuntu or Ubuntu-based operating systems. Another option? Buy a Mintbox! This is a diminutive desktop running Linux Mint — an Ubuntu-based OS. Today, the newest such variant — The Mintbox Mini 2 — makes an appearance. 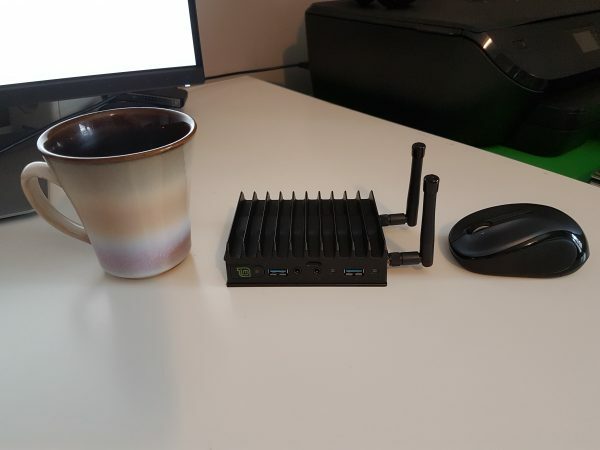 While the new model has several new aspects, the most significant is that the Linux Mint Team has switched from AMD to Intel (the original Mini used an A4-Micro 6400T). 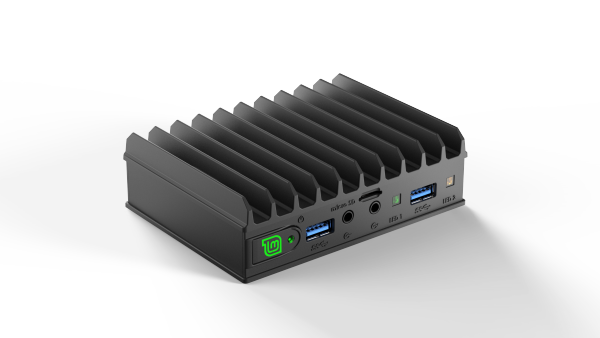 For $299, the Mintbox Mini 2 comes with a quad-core Intel Celeron J3455 processor, 4GB of RAM, and a 60GB SSD. For $50 more you can opt for the “Pro” model which doubles the RAM to 8GB and increases the SSD capacity to 120GB. You can manually upgrade to a maximum of 16GB of memory. Graphics are fairly anemic, as it uses integrated Intel HD 500, but come on — you shouldn’t expect to game with this thing. For video connectivity, you get both HDMI and Mini DisplayPort. Both can push 4K, and while the mini DP port can do 60Hz, the HDMI is limited to 30. Bluetooth comes standard, as does dual-band 802.11ac (Intel 8260). There are two removable antennas, so you can easily replace or upgrade them if needed. Dual gigabit Ethernet is included on the rear for hardwired networking. Also on the back is a serial port and two USB 2.0 Type-A ports. 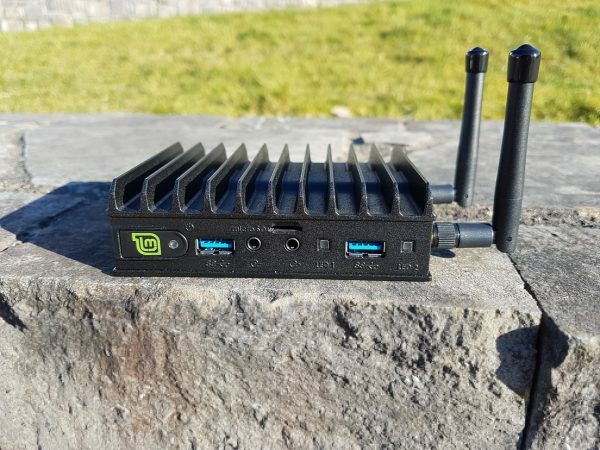 The Mintbox Mini 2 should go on sale in June 2018. While both configurations should run Linux Mint like a champ, I would highly recommend spending the extra $50 for the “Pro” model. The additional memory alone is worth it, so the extra storage is just icing on the cake. You will be glad that you did.